CLARK COUNTY MORAINES Location: West of Neillsville on old Hwy 10, approx. .5 mile southeast of the HighGround Veterans Memorial. Most of the topographical features to be seen here can probably be attributed to deposits or moraines left when the glacier receded. 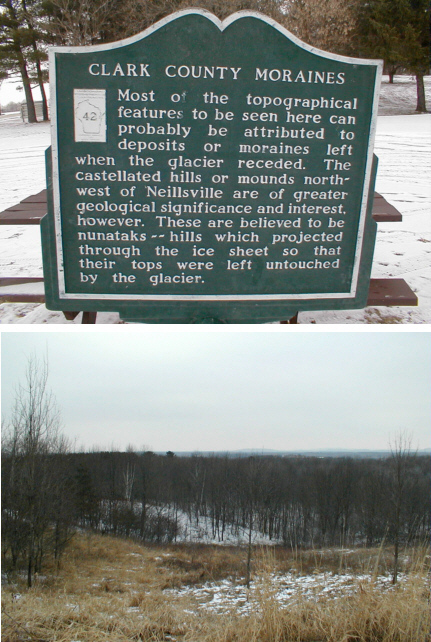 The castellated hills or mounds northwest of Neillsville are of greater geological significance and interest, however.  These are believed to be nunatalks -- hills which projected through the ice sheet so that their tops were left untouched by the glacier.